This is meant mainly as a supplement to a Christmas Eve-Eve gathering/discussion I was at. I will make this post a little different than other posts, as, it will be “minimalist.” This is the third installment of the topics covered, which are polar bears, rising sea levels, CO2, Inconvenient Truth (the movie), nuclear power, warmest year, electric vehicles (EVs)/hybrid cars, and bullet trains. Borenstein: In the more than two decades since world leaders first got together to try to solve global warming, life on Earth has changed, not just the climate. It’s gotten hotter, more polluted with heat-trapping gases, more crowded and just downright wilder. Global temperature: up six-tenths of a degree. Population: up 1.7 billion people. Sea level: up 3 inches. U.S. extreme weather: up 30 percent. Ice sheets in Greenland and Antarctica: down 4.9 trillion tons of ice. “Simply put, we are rapidly remaking the planet and beginning to suffer the consequences,” says Michael Oppenheimer, of Princeton University. Diplomats from more than 190 nations opened talks Monday at a United Nations global warming conference in Lima, Peru, to pave the way for an international treaty they hope to forge next year. This should end all the Pacific Island climate claims right here. A new study of over 700 islands for decades shows that even though seas are rising faster than any time in the last million years, somehow no islands with people on are shrinking. This means there are no climate change refugees from any vanishing island. 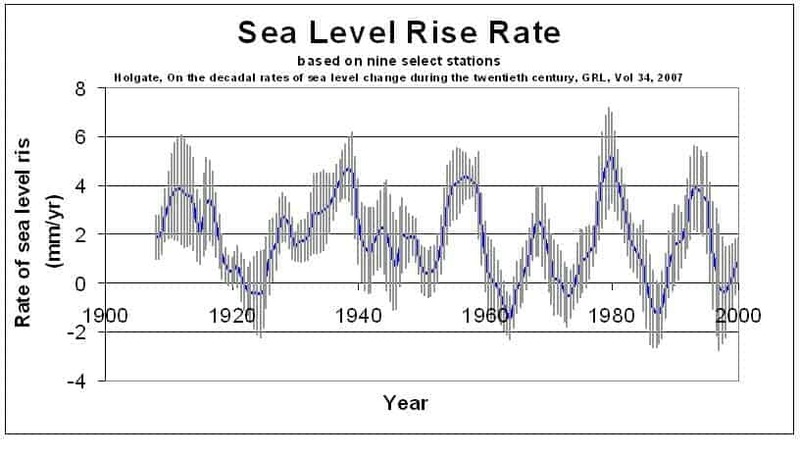 Plus it’s more proof that highly adjusted satellite data is recording sea levels on some other planet. Look how closely these researchers are tracking the shores. Below on Tuamoto, French Polynesia, scientists can tell you that islets 12 and 14 (see pic) have disappeared since 1962. So we can track roving blobs of sand about 20 to 30 meters across. 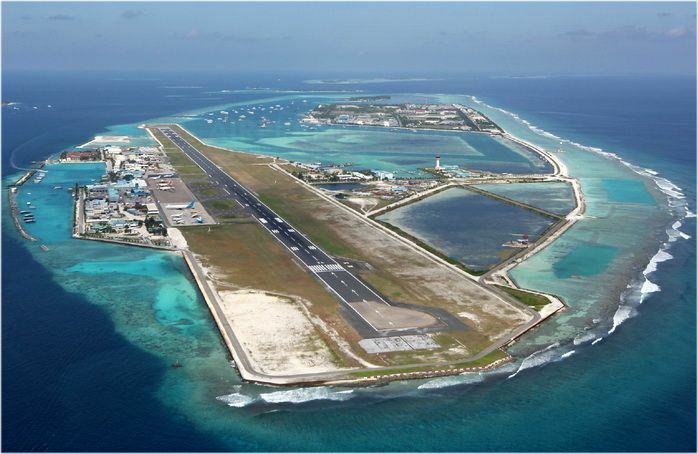 The researchers reckon that 10 hectares is about the smallest island you’d want to plonk a resort on, that’s about that is about ten Rugby fields. Conveniently for us, no island bigger than 10 hectares shrank despite the world adding two thousand coal fired plants and a billion cars. See the graph. All the larger islands are staying the same size or growing. This entry was posted in Conversation Series, Global Warming/Climate Change and tagged AGW Discussion: Christmas 2014, Global Warming, Sea Levels, UCSB.